What Is Pig Iron & Cast Iron? Pig iron and cast iron are different types of metal. Pig iron is an unrefined product that has been converted from iron ore, one step in the process to create steel. Cast iron is then derived from pig iron that has been remelted, along with scrap iron and scrap steel. Pig iron is not a very strong metal because it has large of amounts of carbon in it. However, pig iron is mostly produced and used in the steel industry. It is melted down and turned into cast iron or steel by adding other materials to the mix. Pig iron got its name because old blast-furnace iron was cast in molds that were arranged in sand beds to be fed from one common runner. These beds appeared similar to suckling pigs, giving the iron its name. Most pig iron is made by the reduction of iron ore in blast furnaces. Coke or charcoal are the most common agents used to reduce the ore. The makers of pig iron either use it to make other metals or resell to external customers to melt down. Pig iron is not often used to craft utensils of any sort because it is weak and brittle. However, some artists use pig iron to create decorations. Cast iron is a material derived from pig iron with 2 to 4 weight percent of carbon, as well as a high silicon concentration. 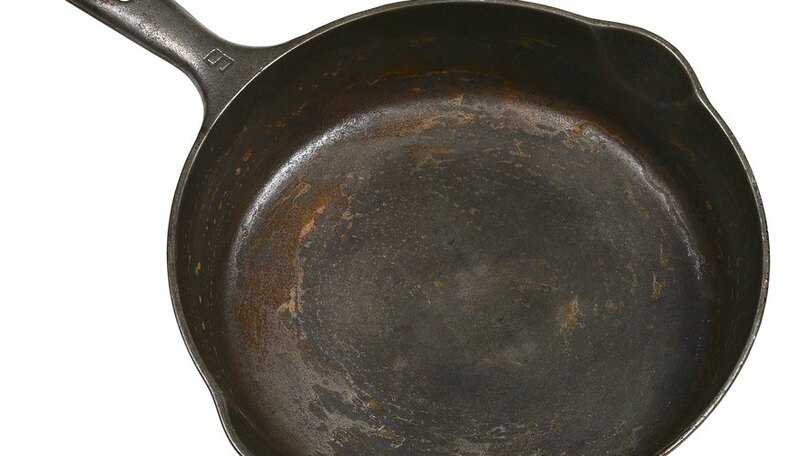 Cast iron differs from steel because it contains much higher levels of impurities. Cast irons are broken into gray and white. White cast iron has a high cooling rate and a low carbon equivalent, while gray cast iron has a low cooling rate or a high carbon equivalent. Cast iron is commonly used because it costs very little to make. Unlike pig iron, cast iron has many practical uses. Some automakers use cast iron in certain car parts to cut down on weight, noise and cost. Cast iron has been used since the late 18th century to make bridges. It has other practical uses in architecture as well, since some people prefer cast iron for gates. Other practical uses include moorings for shapes and manhole covers or grates. Artists also use cast iron to make jewelry and decorative ornaments. How Do I Determine the Fair Market Value of a Cast Iron Bathtub?